Save the layers for winter; summer is for about keeping style lightweight and minimal. From tiny studs to statement arcs, we've got you covered for this season's must-have summer jewellery. Stud earrings may be small but they're far from boring; because of their versatility, studs will always be one of our favourite jewellery pieces. They're the perfect accessory for mixing up your look on the daily. 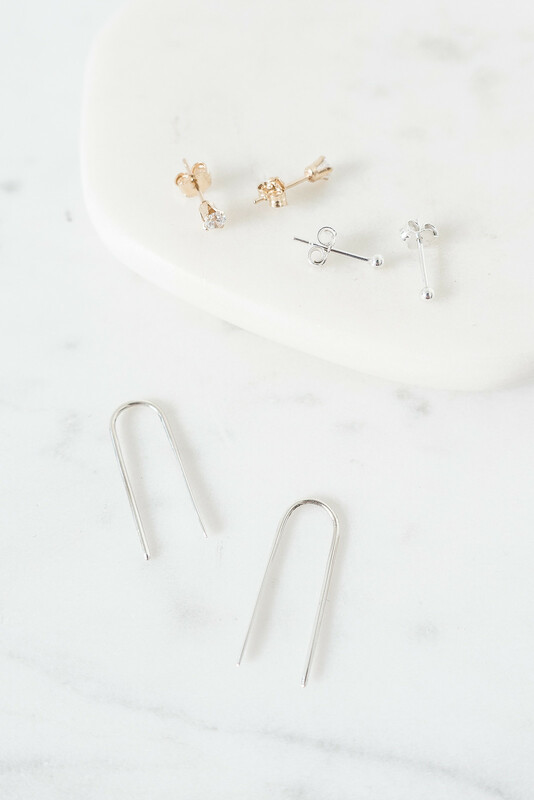 Low-key and easy to wear, these minimal studs will go wherever you go this summer. Stock up on your favourites so you can wear them various ways. Looking for something with a little more attitude? Try the Arc Earrings. Minimal with a punchy style that will complete your summer look. Ditch the trends and opt for a unique take on earrings that will make you stand out. Ultra-thin and understated, these earrings add the finishing touch to your elegant summer outfit. Stock up on your summer earrings.